Just before the signing of the agreement in your office, the fellow from Fiji raises his hand and gives you the finger…. Send him on his way back to the Pacific Islands? you would probably react differently, and even respond with a similar gesture (hoping of course that no one else entered the room at that moment). I don’t know if there really is such a blessing in Fiji, however customs and manners differ greatly around the world, and it is very important to become acquainted with some of them, especially in the business world where millions could go down the drain because of a small error, or lack of awareness of local customs. To show someone in Greece an open palm could be very insulting, and Greeks, when insulted, can be somewhat unpleasant. A raised thumb is considered a very offensive gesture in Iran. On second thought, what could you possibly be looking for in Iran? 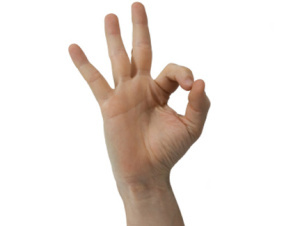 In Brazil people could be insulted by the “OK” gesture. There, in fact, you probably could have something to look for. Don’t touch someone’s head in Thailand, that person could take it the wrong way. It’s not recommended to expose your shoulders or legs in a cathedral in Italy. The penalty: immediate expulsion from that place. Don’t insult the King of Thailand in public, unless of course you are really curious to see what a Thai jail looks like from the inside. Staring at someone in Nigeria could be considered a disrespectful act. You are permitted to be late by up to 59 seconds in Hong Kong. 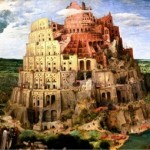 Beyond that, doubts will be cast on your professionalism. If, for some reason, you feel like wearing a burqa/purdah (veil) in France, you could face a fine of 120 Euros. What happens if you are discovered not flushing a public toilet in Singapore? You’ll part with $150! 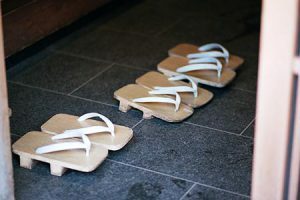 In Japan you don’t leave your shoes on in a traditional Japanese home or hotel. For this reason there are charming slippers at the entrance. 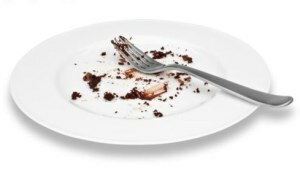 In Chile, not using a knife and fork is considered improper. Luckily, they don’t have hummus. On the other hand, it’s not a good idea to try using a knife and fork in Ethiopia, they’ll look at you a little strangely. Splitting the bill at a restaurant in France is considered very unsophisticated—either you pay the whole bill, or smile politely and allow your host to treat you. In China and Japan chopsticks should not be left upright in the rice, this would remind them of a funeral ceremony. Do you really have to bring chewing gum into Singapore? You could be liable for a $5,500 fine. Don’t ask your German host for a tour of his house. The Germans like to maintain their privacy. In Austria it is not considered proper to sit down at the dining table before you are invited to do so, even if you are really dying for the schnitzel. Don’t use someone’s first name in Slovenia before being invited to do so. Do you want to pamper someone with flowers in Azerbaijan? Please, not in even numbers. These are reserved for funerals. In El Salvador it’s not a good idea to give a knife or scissors as a gift, unless of course you want to take your relationship to a somewhat deeper level. If a Chinese colleague says to you something like, “Seems you’re balding a little”, it is not to put you down, but rather to deepen the personal relations with you. Go figure the Chinese! Ireland is Ireland, not part of Britain! You had better be absolutely clear about this when talking to Irishmen, especially if they have had a few drinks. When you are in Cuba, don’t speak ill of the regime. You never know who’s listening to you. But most importantly—smile. I don’t think there is a problem with this anywhere in the world.